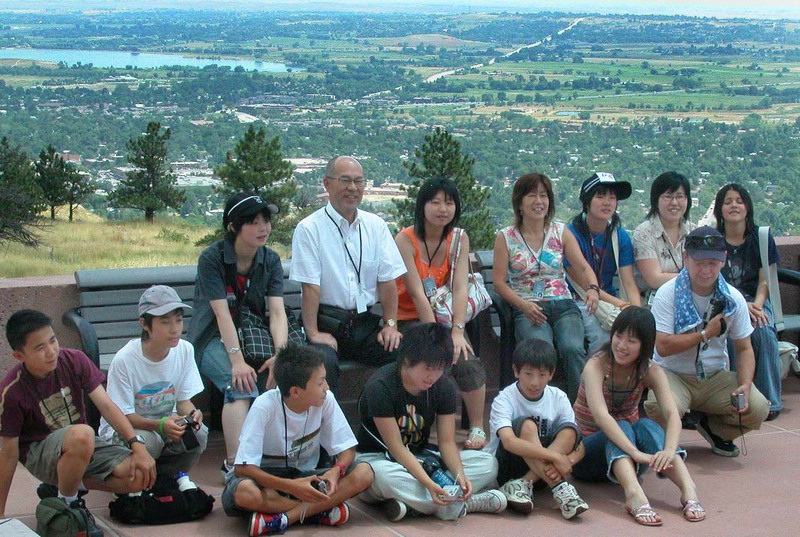 Host Families are matched with their Maruko, Japan Delegates in the City Council chambers in Broomfield. 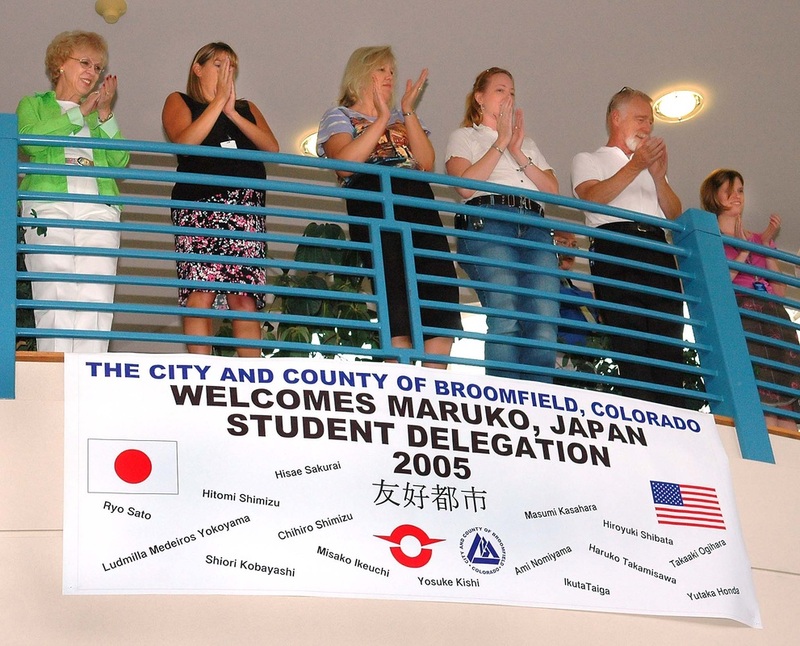 The Delegation from Maruko is cheered as they enter the City and County Building in Broomfield. 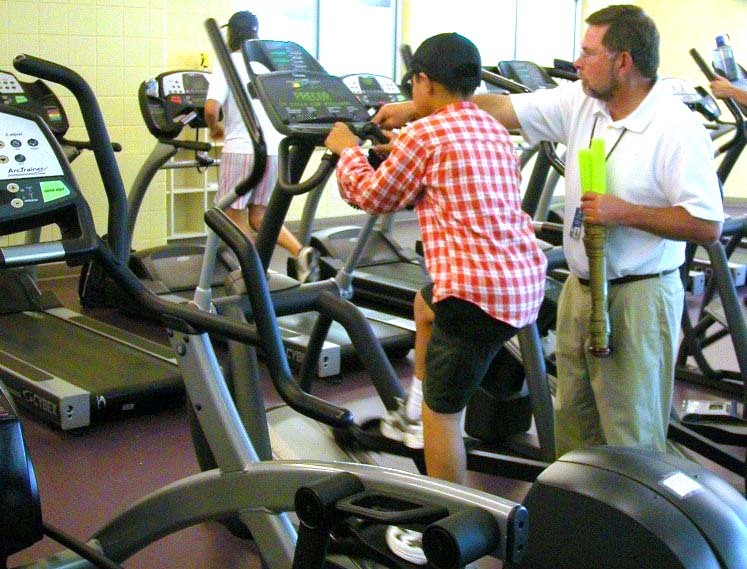 Recreation Director John Ferraro helps a student delegate in the use of an elliptical trainer at the Paul Derda Rec Center. 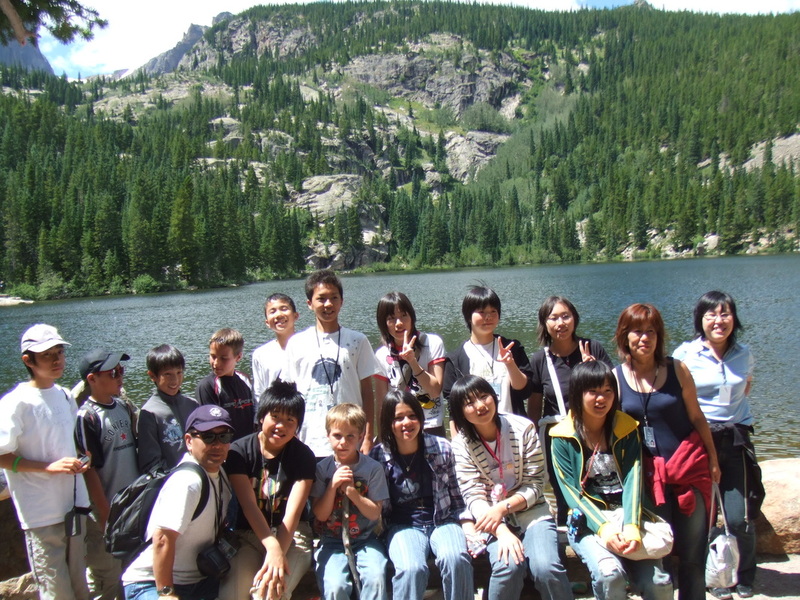 The Delgates pose with Estes Park in the Background. Maruko Mayor Kenmei Horiuchi is in the white shirt.